We encourage families to attend our dog classes. Dogs are an important part of our family. Your "best friend" needs to learn to listen to all members of your family, not just mom and dad. In order for you dog to thrive, training techniques learned in class need to be consistent among all family members. We offer a variety of different levels of pet classes. 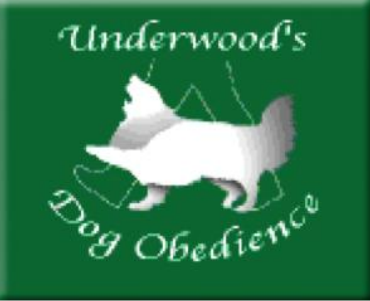 Give Ray at call at 604-625-6121 for a free consultation to determine which class is best suited for you and your dog. You have an option of signing up for 10 or 20 classes. Again, Ray will consult with you over the phone before you sign up, to determine which level is the best for you to start in. Our classes are ongoing year round (except holidays and Christmas break) so you can join in at any time. There is no need to wait. Within the class guidelines all dogs work to their own level. For example, the "stay". Some dogs may be able to stay at a great distance from their owners, while others are working at "staying" closer to their owners. Ray believes that all dogs are individuals and they are treated that way within the classes. Your dog will not be held back. Within the 10 or 20 classes Ray will recommend that your dog move up to the next level when he/she is ready, not when the 10 lessons have expired. To summarize, we have 3 levels of pet classes, your dog will progress according to ability levels, not number of classes. We offer a variety of different Freestyle Classes. If you are interested and need more information, feel free to give Ray a call at 604-625-6121. Freestyle is a fun and newer sport that is growing fast throughout the world. It involves teaching your dog many different movements and "tricks". Freestyle can be adapted to any dog or any breed as the guidelines do not restrict what tricks can be performed. The possibilities are endless. Once the foundation tricks are taught you can choose to choreograph these tricks into a routine, which would then be performed with music. Or you can choose to continue to have fun teaching and perfecting without choreographing into a routine. See the pictures and videos below. Ray Underwood and his Border Collie, Magic, performing back weaves to music. Ray's student, Joan and her Sheltie, Poet, practising backing and turning with a prop.